One of the most prominent leaders of Hong Kong's democracy movement is not a student, academic or professional protester. He used to work for a hedge fund. Relatively few finance professionals have given public backing to the protesters occupying Hong Kong's busiest streets. Edward Chin is a notable exception. Chin helps run Occupy Central, which has taken a leading role in this week's protests aimed at snarling traffic in the city's financial district. He's the driving force behind its finance and banking group, which numbers about 80 people working for banks, funds and investment houses. The group has published two open letters to Chinese President Xi Jinping in recent months, seeking to raise awareness of the strength of feeling in Hong Kong. "Please honor 'one country, two systems' ... Hong Kong people want true democracy," one of the letters read. 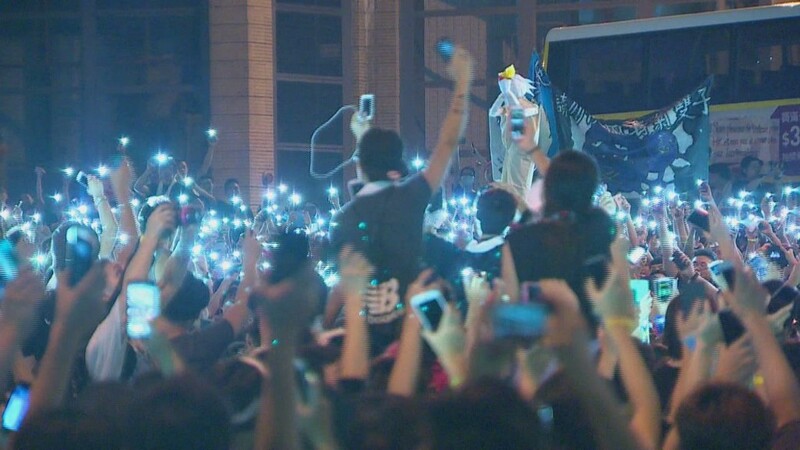 "Don't stage another Tiananmen crackdown in Hong Kong. The whole world is watching." Edward Chin used to run hedge funds. Now he's trying to beat Beijing. The protesters want free and open elections in the Chinese territory. Beijing wants to screen candidates for the city's top office. 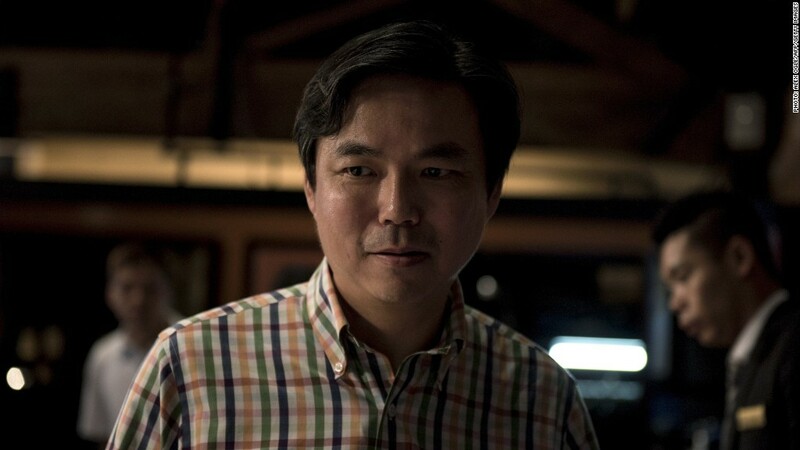 Chin got his start in finance in Canada, working as an investment banker and portfolio manager. After moving back to Asia, he served as country head at Man Investments, and head of Asia at Refco Alternative Investments. Now he spends his days as a political advocate, hoping to draw more of the city's finance professionals to the cause. "We want Hong Kong to remain intact to have our core values, our freedom of speech, our freedom of press, our rule of law," Chin told CNN. "It seems like the Communist government is not doing a good job and that's why we have to defend Hong Kong ourselves." 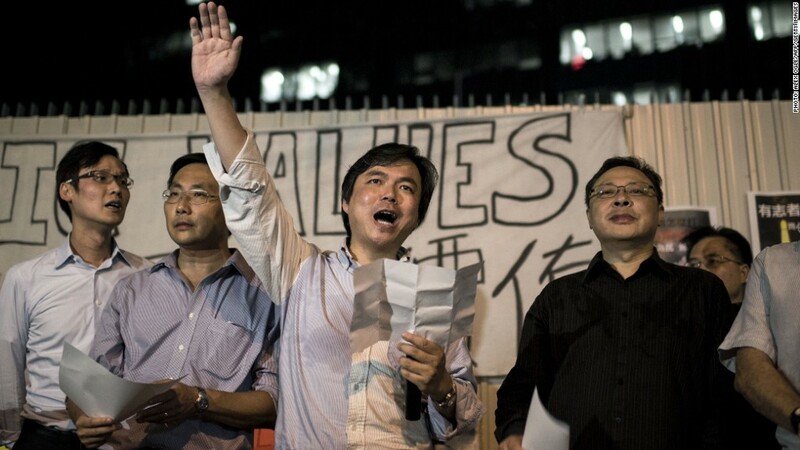 Chin at an Occupy Central rally with other movement leaders. He sees rising tension between the handful of families that control large swathes of the city's economy, and powerful new money coming from mainland China. While he's no great fan of the 'old money' families, Chin fears the influence of China's oligarchs even more. "We don't want all the dirty money, all the funny money coming to Hong Kong," he said. "Hong Kong's value is not just finance money. When we make a buck, we have to make it with a conscience."